Wood buildings and the use of engineered timber products for high and mid-rise construction continues apace as we move into 2019. In Australia, architects have just designed a seven-storey building for the developer, Lendlease (following on from their collaboration on a string of other award-winning projects), for the University of NSW’s main campus. A look at the new planned structure is included with the story this week and we’ve also included some drone footage of the construction of the T3 (timber, transit, technology) Building in Atlanta. Once built, this will be the largest mass timber building in the US. The first T3 in Minneapolis was completed a couple of years ago and really helped in sparking the mass timber “revolution” around North America and obviously now, further afield. That’s the good news. Linked to construction, we’ve included a short story on some early warnings that appearing to be doing the rounds at the moment on a significant slowing of growth in the Australian housing market. 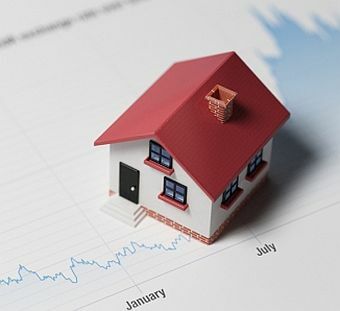 A number or political and economic measures recently introduced clearly indicate that they’re having an effect with a significant cooling of the market. It started late last year. Building approvals and Ai Group Performance of Construction Index both fell to multi-year lows. Projections for a drop in residential housing construction this year will impact on other areas of the economy including residential investment and consumption, along with housing and construction activity (and the future demand for wood and wood products). We’ll bring you further updates as more figures become available. In wood harvesting news this week, we’ve included the results of a project undertaken by the Australian Forestry Contractors Association (AFCA) with funding supplied through Forest and Wood Products Australia. Load restraint testing has been undertaken in Tasmania to evaluate the engineering qualities of Dyneema rope. A number of key recommendations on log load restraint systems (Dyneema in addition to belly chains and webbing straps) have come out of the trials. A link to the full report is included. Finally, this week we carry a couple of stories linked to China’s wood products industry. 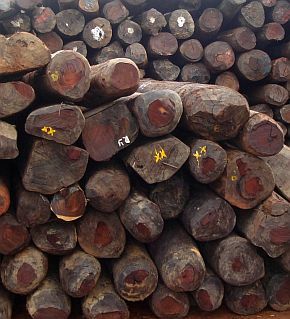 With over 60 percent of tropical logs on the global market being imported into China, one article covers an investigation into the extent of illegal labelling (“greenwashing”) of certified timber. In the other, we take a look at the current China US tariff war and what potentially this could mean to both countries – and others supplying wood products into both of these key markets. That’s it for this week. Enjoy this week’s read. China-US trade dispute - who wins with wood products? The Australian Financial Review has reported that AAM Investment Group has acquired Allied Timber Products’ softwood sawmill and business located in Bathurst for about AU$25 million. This latest transaction is yet another addition to its diversified, unlisted investment offerings now valued at AU$160 million. The saw mill sits on six hectares and processes about 92,000 cubic metres of saw logs per annum. It has a development approval to process 210,000 cubic metres. The mill, developed in 2006 on a greenfield site, has a long-term contract with NSW Forestry. A contingent of New Zealand firefighting personnel is heading overseas, this time to help combat a growing number of wildfires in Tasmania. Fires have been burning since late December, mainly in the southwest of the island state, following a heatwave and period of lightning strikes and high winds. Fire and Emergency New Zealand National Manager Rural Operations John Rasmussen says a seven-person team was to fly out of Auckland followed by 21 remote area/arduous firefighters leaving on Wednesday. "Our team of specialist, trained incident management personnel will be undertaking roles for planning, intelligence and aviation support across the state, while the firefighters will be flown into remote locations each day," Mr Rasmussen says. "These firefighters are going into extremely tough conditions. They must be physically and mentally fit enough to work in steep and remote areas, being flown in and out by helicopter. The conditions will be very hot and dry." The frontline fighters will be from Fire and Emergency New Zealand (five), the Department of Conservation (five) and forestry companies (11). It is the 23rd time New Zealand fire personnel have been deployed overseas since 2000, the 12th time to Australia and third time to Tasmania. Mr Rasmussen says the deployment highlights the high regard in which Fire and Emergency New Zealand personnel are held internationally, following the August 2018 deployments to Canada and the United States. The New Zealand crews join others in Tasmania from South Australia. In May of last year, the Southern Wood Council (SWC) in conjunction with New Zealand’s Industry Training Organisation, Competenz, built again on the regions forestry industry awards programme. Each year, it continues to grow. The event and the response from the local industry from throughout the lower South Island of New Zealand was outstanding. Over 350 people attended. 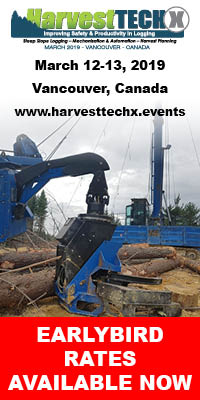 The evening saw forestry companies, contractors and transport operators from throughout the lower South Island attending. It’s was again the largest industry gathering seen in 2018 for the region. 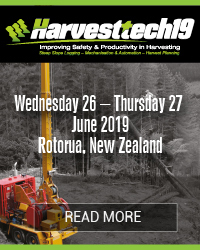 For the forestry industry in Otago and Southland, the Awards Programme provides a unique opportunity for those involved in training, in growing, processing and transporting wood and for those who support the industry through the provision of products and services. It’s a once in a year opportunity to come together to celebrate success. It’s the industry’s chance to recognise those who had achieved formal training qualifications over the year, to celebrate through a series of nine major industry awards, the top performers from across the lower South Island and to profile the real contribution that forestry and those working within the industry are making to the economic and social well-being of this region. 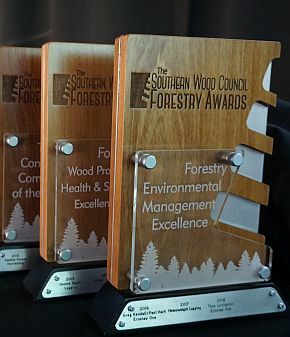 The 2019 SWC Forestry Awards Programme run in conjunction with Competenz will run this year at the Forsyth Barr Stadium, Dunedin on the evening of Friday 24 May. Details on each of the main awards and nomination forms for this year’s awards are being distributed as part of five major SafeStart meetings being run by the forestry industry at the beginning of the year and through on-site visits being planned to forestry crews and wood processing operations over the next month or so. For those in the South, mark the dates into your diary. Nominations close on Friday 29 March 2019. Start to give some thought as to who you can nominate in your or someone else’s company or crew. 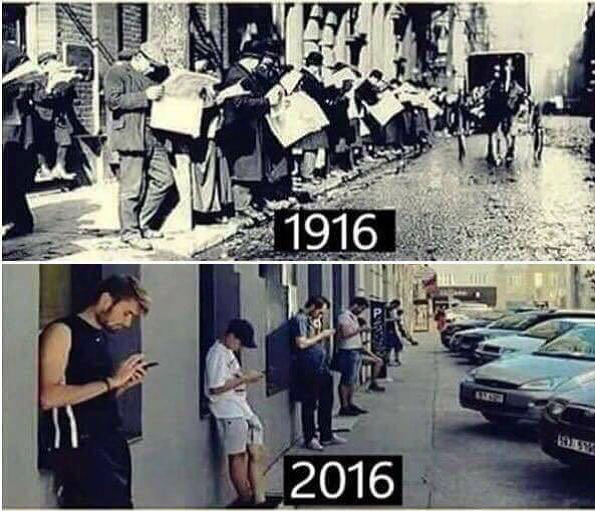 Who’s made a difference? Who’s really stood out this year? Who deserves to be recognised for their efforts? T3 Atlanta Office - Drone Footage from StructureCraft on Vimeo. A recent project undertook load restraint testing to ascertain the engineering qualities of Ultra-High Molecular Weight Polyethylene (UHMWPE e.g. Dyneema®) rope as an effective mean of load restraint for industry and to continue to collect data to build on previous load restraint testing. The overall intent of the load restraint testing was to refine existing load restraint methods to improve feasibility of compliant systems. The Australian Forestry Contractors Association (AFCA) would like to thank and acknowledge those who contributed their time and resources to allow the testing to be undertaken including: Forico, Sustainable Timbers Tasmania, Forest Centre (Aust) Pty Ltd and ANC Forestry. A particular thanks also to AFCA Member, Orana Enterprises Pty Ltd, who hosted the testing, coordinated the equipment and assisted with the testing on the two days and Forest and Wood Products Australia who funded the project. To read more about the testing, results and to see the full report, click onto the Harvesttech.events web site. 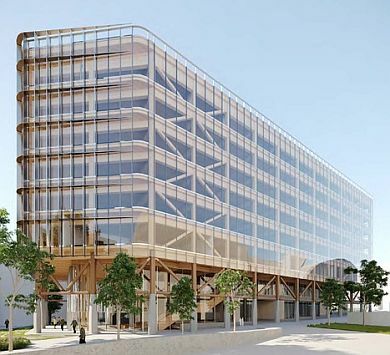 The collaboration is the latest in a string of large engineered timber buildings Tzannes has designed for developer Lendlease, including International House Sydney in Barangaroo, the Australia’s first engineered timber commercial building and winner of the National Award for Commercial Architecture at the 2018 National Architecture Awards, as well as a planned adjacent “sister” building. The seven-storey D14 Academic Building will replace the existing UNSW Hall Building, built in 1959. In a design report produced as part of the application, the architects said the premise of the design was to celebrate “timber as the hero through simplicity, efficiency and clarity in expression. The building will be constructed of concrete, timber and steel. The primary mass will be fashioned from engineered timber, with glue-laminated timber (glulam) used for the beams, columns and bracing, while the floors and core walls will be made of CLT. All of the external timber elements, including an exposed truss on the first floor, would be made of recycled Australian hardwood. A report out last week is suggesting that Australian home prices are at risk of falling more than 10 per cent in 2019, the largest decline globally of all markets monitored by Citi Research. "Among the roughly 60 economies under coverage, only 11 are at significant risk of notable home price falls over the next 12 months, and only one - Australia - might experience year-on-year declines exceeding 10 per cent," Citi says. Citi says the downturn has been caused by several factors, nominating the impact of tighter macroprudential lending standards, reduced foreign buyer activity and a steep increase in new housing supply. "Where prices have been rising rapidly for several years, including in Australia, authorities have deployed a range of macroprudential policies to slow credit growth … which have helped to cool the housing market," it says. "Foreign demand has also declined with restrictions on Chinese capital outflows and tax changes on foreign investment in residential markets. In addition, housing supply has belatedly responded to the earlier strong demand for housing, most notably in Australia where there has been a super-cycle in housing construction." Given downside risks for prices, Citi says the impact on the broader economy could be larger than in other nations given Australia has an outsized share of residential investment relative to GDP. "The potential impact … from lower house prices could therefore be accentuated by the larger drag on growth given falls in housing investment as well as residual cuts to consumption and investment related to housing support services and structures," it says. The risks identified by Citi, particularly the spillover effects from falling property prices into other areas of the economy such as residential investment and consumption, have dominated discussion in Australia for several months, driven by uncertainty as to just how far prices will fall and how large an impact it will have on economic activity. The pungent odour of formaldehyde fills the factory of Shandong Xingang Group in the city of Linyi. Few employees wear masks, despite signs saying they are required. Throughout the hall lie boxes adorned with tree-shaped logos, which should mean that the wood inside is certified by the international non-profit Forest Stewardship Council (FSC) to have been produced under good labour conditions and come from sustainable forests. Germany-headquartered FSC is one of the world’s most influential certifiers of sustainable forestry, having approved over 36,000 enterprises and over 195 million hectares of forests — an area roughly the size of Mexico. The organization began in 1994 and set up a series of standards to help global forests and the timber industry become truly green. In 2016, 22.6 percent of global industrial roundwood — a term for all wood aside from that used for fuel — was harvested in FSC-certified forests, according to the organization. In those areas, management should abide by local laws, respect local communities, promote its workers’ wellbeing, and not harm the environment, among other principles. Finnish pilot develops new solution for sustainable forestry Europe is feverishly looking for new ways to use farm, forest and fishery resources more responsibly and sustainably and to promote the production of the best possible raw materials in order to increase the availability of food, energy and biomaterials. VTT Technical Research Centre of Finland Ltd, the Finnish Forest Centre and MHG Systems Oy Ltd are among the organisations that have joined forces to accelerate European bio-economy with the help of big data technologies based on aerial and satellite images and on open forest data provided by Finnish Forest Centre. The Finnish partners have developed, among other innovations, a unique mobile application that puts forest data to more efficient use. "Population growth and urbanisation are increasing the demand for natural resources, which is putting a strain on the Earth's carrying capacity. The European DataBio (Data-driven Bio-economy) project aims to develop new sustainable ways to use forest, farm and fishery resources and to communicate real-time information to decision-makers and producers – land- and forest owners, farmers and fishermen", explains Research Professor Caj Södergård from VTT, who acts as the project's Technology Manager. "One of the Finnish consortium's innovations is a globally unique concept based on forestry standards, which allows landowners and forestry operators to collect data on their forests using a smartphone and upload the data to the Finnish Forest Centre's forest resource database with the help of an application called Wuudis", explains Seppo Huurinainen from MHG Systems, who coordinates the DataBio project's forestry pilots. "This facilitates the payment of sustainable forestry subsidies and makes it easier to collect information and keep forest inventories up to date, as the application accurately calculates the volume and quality of the trees left in a stand after care works and harvesting", Huurinainen adds. The Wuudis service and the associated mobile application as well as standardized forest resource data concept provided by the Finnish Forest Centre can be easily scaled to other countries. The mobile application can be also used to monitor the effects of storms, snow, pests, diseases and the like. The solution developers are currently in talks with potential users in Spain and Africa, for example. All the pilots included in the project involve developing common software tools for analysing and refining information flows. 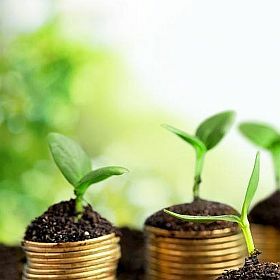 The results of the pilots and the new solutions are also expected to create new business opportunities and increase the use of big data technologies in the bioeconomy industry's primary production. "We are very excited, anticipating tangible success stories showing there is real value for all in using big data technologies in bioeconomy", says Dr Athanasios Poulakidas from Intrasoft International, who acts as the DataBio Project Coordinator. The Finnish partners involved in the project are VTT, MHG Systems Ltd, the Finnish Forest Centre and Senop Oy. The project consortium also includes partners from Belgium, the Czech Republic, Germany, Spain, Norway, Poland, Italy, Greece, Israel, the Netherlands, Denmark, Switzerland, the United Kingdom, Estonia, France and Romania. The project, which is due to end in 2019, is co-financed by the EU's Horizon 2020 programme. More about the project: www.databio.eu/en/. The second half of 2018 was characterized by market uncertainty due in large part to an evolving China–U.S. trade dispute and waves of tariffs. The uncertainty — caused first by 25% tariffs on southern yellow pine logs to China and then, 30 days later, a 5% tariff on West Coast U.S. logs and 10% on softwood lumber — has changed the market quickly. Indirectly, it is responsible for a weakening of the Chinese market as buyers sat on the sidelines trying to time their import purchases of logs and lumber to their immediate needs. Then, before shipments could be constrained, inventories began to rise; China has now seen prices (especially for lumber) fall back to their 2015–16 levels, with all gains erased. - 21% of imported hardwood lumber. The picture looks quite different from the U.S. side, however: of total U.S. exports in 2017, 54% of logs went to China and 38% of lumber. Clearly, the U.S. log and lumber export industry relies heavily on China. China’s main wood products exports to all markets are wood furniture and seating products (63%), followed by plywood (14%). Of China’s timber and wood products exports to the U.S. in 2017, US$12.9 billion (35.7% of total exports) went to the U.S. (with wood furniture/seating taking a US$9.28 billion share). Overall, for the year, the U.S. represented a hefty 41% of China’s total wood furniture export value. In China, log and lumber prices are closely related to each other, with historical spreads setting the prices for competing species. With tariffs on U.S. logs and lumber and uncertainty around who is paying the added cost, many buyers are reluctant to commit to large purchases. It is obvious that both countries are being impacted by the tariff war, with China having the most to lose given its substantial export volumes to the U.S. Ultimately, however, both countries will lose competitiveness in each other’s markets (especially at a 25% tariff) and this will likely cause production curtailments all around given that there are no other markets large enough to absorb the volumes. It is expected that both Chinese and U.S. producers will redirect shipments to their local customers, increasing domestic supply in both countries and putting further downward pressure on many product prices. At present, the Chinese market does not appear to be in good shape, so the uncertainty around tariffs on U.S. logs and lumber is certainly unwelcome. Declining market demand is being seen in both the furniture and construction sectors in China, amid high lumber inventories and negative profits for most Chinese importers. Market tone has also been impacted by unexpectedly higher import costs associated with a devaluation of the RMB (down nearly 10%) in the second half of the year. As a result of the devaluation, Chinese buyers are pushing down all U.S.-dollar prices on imports, making the additional tariff situation even worse for U.S. exporters to China. In all likelihood, the U.S. tariff will need to be absorbed by U.S. suppliers. In the longer-term, China still need imports from the U.S. and other countries to meet its expected increase in domestic consumption. When the trade dispute/tariff situation becomes clearer in March 2019 (following the end of the 90-day window for U.S.–China negotiations), Chinese importers should be able to form a clearer picture of when to start increasing purchases. Assuming tariffs are not increased to 25%, it is likely China’s lumber demand and imports will grow (although more slowly than in the past). China’s softwood lumber imports are expected to decline by almost 5% in 2018 versus 2017 due to the second-half slowdown, but should rebound in 2019 by up to 5% as inventories are rebuilt and trade frictions recede. The outlook for lumber imports in 2020 is for a renewed slowdown ahead of steadier increases in 2021. 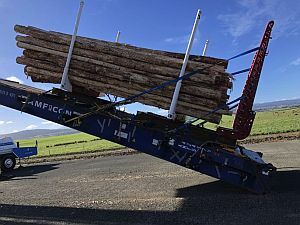 Tasmania’s environmental regulator has called for public comment on plans for a AU$54 million timber mill in Northern Tasmania. The closing date for comments is 26 January. Patriarch and Sons has lodged a development application with the George Town Council for its proposed Bell Bay rotary veneer mill — a project the West Australian company is touting as providing up to 109 full-time equivalent jobs by its final stage. It would use native and plantation timbers from North East forests and export from Bell Bay. Logs unsuitable for cutting for veneer would be chipped and exported. Oji Fibre Solutions and Port of Tauranga have confirmed their long-term relationship has been extended with the renewal of their Operating Agreement for a further 10 years. Oji Fibre Solutions is New Zealand’s major manufacturer of market kraft pulps, container board and packaging products. The company has committed to consolidating the majority of its import and export cargo volumes through Port of Tauranga for the next decade. The agreement reflects the long and productive relationship between the two companies, dating back to the 1950s. Australia's Assistant Minister for Agriculture and Water Resources Senator Richard Colbeck has welcomed news that a world-first ‘bio-based’ alternative to fossil-fuel-based solvent developed in Tasmania is now approved for sale in the European Union. “The Liberal National Government provided AU$1.5 million to pulp and paper company Norske Skog to support the development of the non-toxic, bio-based solvent, called Cyrene™,” Minister Colbeck said. “That funding established the feasibility of building a commercial-scale advanced manufacturing facility in Tasmania to produce platform and specialty biochemicals from certified, renewable plantation forest biomass wastes. 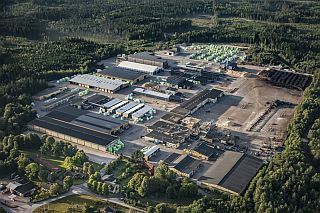 “The end product is Cyrene™, which is developed through the conversion of waste biomass produced at Circa Group’s large-scale prototype plant, which was built in conjunction with Norske Skog. “The facility is the first of its kind. Like Cyrene™, products from the new facility will be destined for global export into pharma and agrichemical industries with a need to replace a range of existing toxic, fossil-derived chemicals with safer alternatives. “The European Union is cracking down on some hazardous chemicals and approval for these new products shows how our innovative forestry industry can tap into these types of markets. It also demonstrates how the emerging global forest economy is creating opportunities for the Australian forest and wood products industry to use all parts of the tree to create innovative bioproducts”. 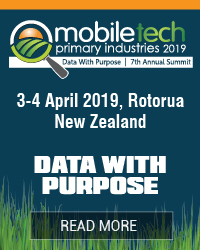 Establishing industrial clusters around wood processing is a promising prospect for regions with surplus forestry resources and can contribute substantially to New Zealand’s bottom line. In a recently completed research project, Scion identified four regions where wood processors could collaborate with other industries to provide, share and reuse materials, energy, water, and/or by-products for mutual benefit. If a cluster was established in each of these regions, the increase in onshore processing would provide an additional ~1000 jobs in each region, add a total of NZ$2 billion to New Zealand’s bottom line and reduce emissions of carbon dioxide by 67,000 tonnes a year by replacing coal with biomass. Gisborne, Hawkes Bay, Northland and Southland/Clutha were identified as regions suitable for wood processing clusters using Scion’s WoodScape model and predictions of future log availability to calculate return on capital investment. Industrial symbiosis in Gisborne would be focused on standalone wood-processing powered by forestry and processing residues. In Ngawha, in Northland, the availability of geothermal energy frees up residues for secondary manufacturing. 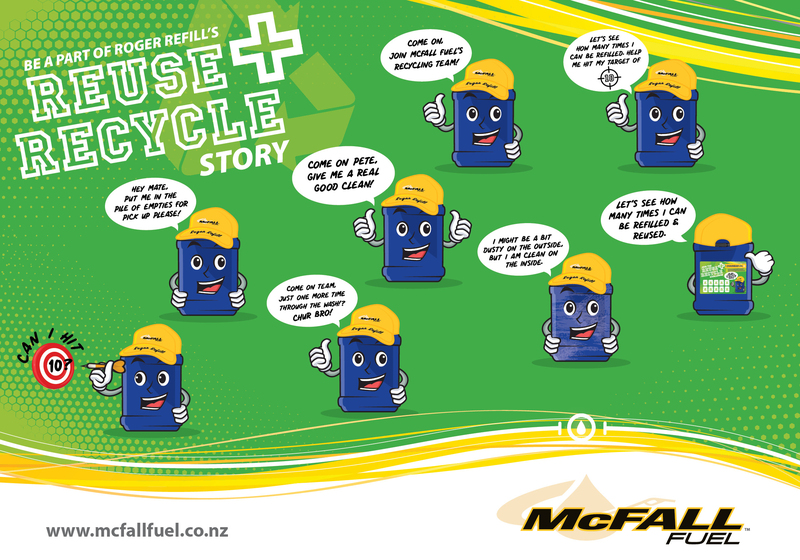 In Hawkes Bay and Southland/Clutha, residues from wood processing clusters would be used to replace coal or LPG energy sources used by other nearby industries. 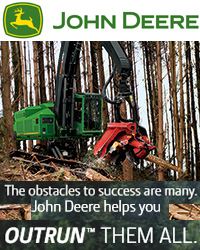 For more information: Wood processors working together for energy efficiency. One more for you. There was this lady who was visiting a church one Sunday. The sermon seemed to go on forever, and many in the congregation fell asleep. And the gentleman replied, "You're not the only one ma'am, I'm glad it's done too!" 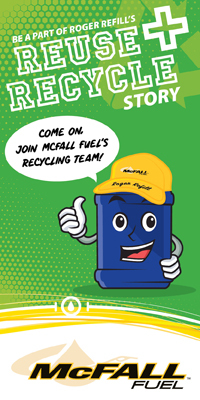 Must be time for readers to send through a few more of these to add to the bottom of future newsletters.